If you’re in the market for a luxury home, you’re not just looking for any old home. You’re looking for a property that speaks to you and your lifestyle. And inside those walls, you want certain features in your home that are stylish, sophisticated and truly stand out from your average home. Here are five of the hottest luxury home features for 2016. 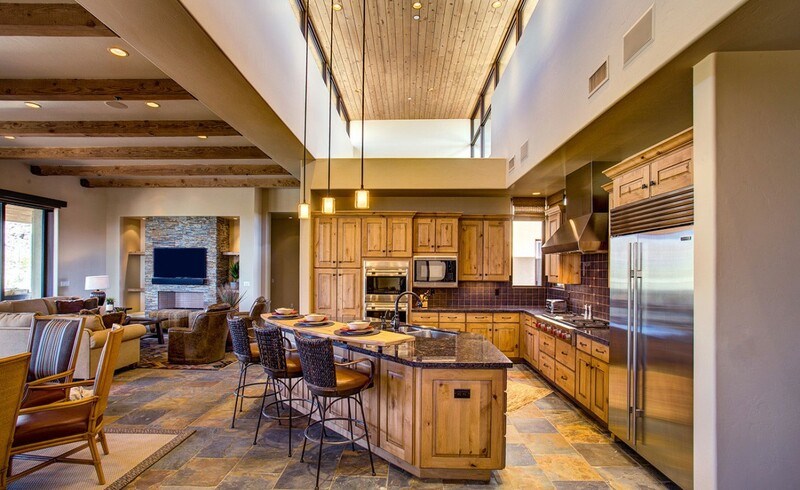 A Great Kitchen – A great kitchen is more than an open floor plan, fully upgraded appliances and granite. In fact, when it comes to luxury homes, homeowners are looking for great additions that turn a kitchen into an entertainment hub. A luxury kitchen should include great things like warming draws, wine fridges, walk in pantries and restaurant quality appliances. An extra Kitchen – Not only do luxury homes have great kitchens inside, they should also have great outdoor kitchens. These outdoor kitchens should include a built-in grill, food prep spaces, a sink and refrigerated food and drink storage. A bar is also a great addition as well as plenty of comfortable seating options. Plenty of luxury home buyers love built in stone patio seating areas in their outdoor entertaining area. A Spa – All luxury homes should have a luxury bathroom space to unwind and relax in. A great spa bathroom will include a huge walk-in shower with several different types of shower jets and even a rain shower head. Heating should be a consideration. Using radiant heated floors and towel warmers can help keep everyone comfortable. A huge tub that you can float away in is also a must and plenty of space to get changed, do makeup and either prepare for the day or leave the cares of the day behind. Dressing Room – Connected to the spa bathroom, a dressing room is the perfect addition. This space should offer plenty of room to get dressed, put on shoes and even apply makeup. Built in cedar shelving, shoe racks, hanging areas for ties and purses and great lighting should all be a part of a dressing room. To truly make this space luxurious add a chandelier and built in sink. Technology – Tech forward luxury houses are some of the most sought after houses. Luxury homes should have technology that not only secures the house. It should control just about everything inside the home. This should include remote climate control, light control and remote door locking system. In fact, you should be able to control everything inside your home through technology. If you are looking for a luxury home in the Marana area our community offers luxury custom homes and homesites for you to design your perfect luxury home. Contact us today to learn more about The Residences at The Ritz-Carlton, Dove Mountain.